Britney Dearest: Teach Your Children How to Code This Summer With Interactive Coding Activities! Teach Your Children How to Code This Summer With Interactive Coding Activities! Not a sponsored ad. Affiliate links. Honest opinion. Over the past year, I have noticed that coding for children has been a very hot topic. I have noticed many parents in homeschooling communities (no, I don't homeschool) and bloggers mention classes and books that they're currently using to help their children learn to code. My children love playing computer games as well video games- Minecraft being their favorite. My 7-year-old son is a little Minecraft genius. I have heard my 10-year-old daughter ask him questions during their gaming time when she needs help. I won't even begin to act like I know anything about it, other than, it's a block world. A world made of blocks? Or Bricks? Considering the growth of the world's daily use of computers and phone and tablet apps, including in schools, with the ever growing development of new digital systems, coding is a beneficial skill to learn during childhood. Not only will children know how to use computer programs and apps, they will know how to create and fix them. It's a skill that can last a lifetime as well as earn them a great living in adulthood, should they choose to pursue coding as a career. Earlier this year I began Google searching my locality for coding classes for kids. The two organizations I found sounded great, but unfortunately, between conflicting schedules and closed registration, we were unable to join. I began to research another option- learning with my children. 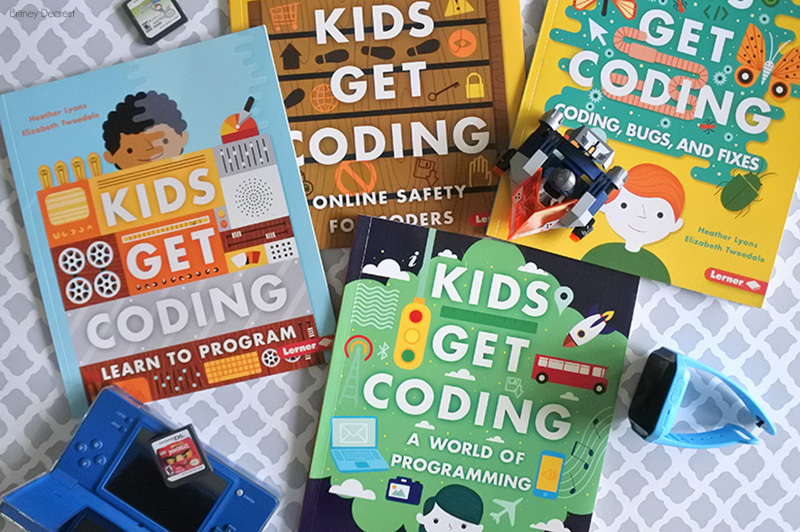 In perfect timing, a fellow blogger I follow on Instagram shared a picture of a set of four books she had recently purchased titled, "Kids Get Coding" by Heather Lyons. I was instantly interested in learning more about the books so because Google knows everything, I performed a quick search. Before visiting Amazon, I went to the publisher's site where I found brief synopsises of each book. Fairly new, they hardly have any reviews on Amazon, however, I decided to take a chance and place an order. I ordered all four books- "A World of Programming", "Learn to Program", "Coding, Bugs, and Fixes", and "Online Safety for Coders." As much as they wanted to, my kids haven't started reading the books yet. They have so much going on with school and extra activities that I didn't want to add more to their load, however, we'll begin during the last week of school. I, however, have read the books and they are parent-approved. The books help gain a good foundation in learning the meaning of different terms. 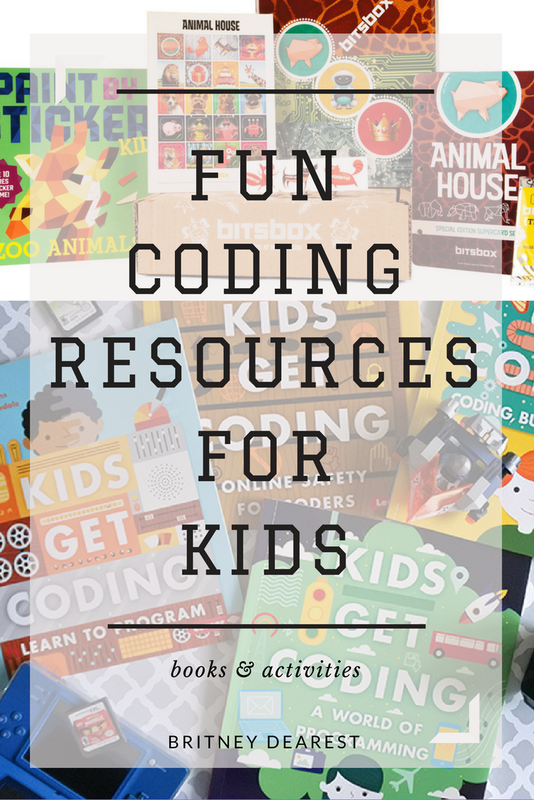 There are activities within the books as well as activities that that can be printed out from an accompanying website that helps children understand how different aspects of coding work. My only concern is that the books don't lead readers directly to a children's coding site, like Scratch or Python. The books are very kid-friendly and even has the main character, Data Duck, guiding them through the book. Later this year, there will be four additional books added to this collection. Amazon offers customers the option to preorder, so, once you have purchased the first set, be sure to preorder the new set! 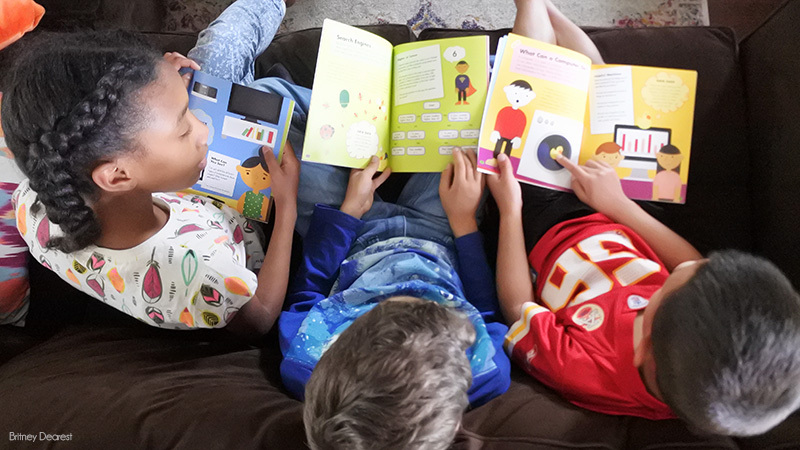 After another Instagram share, this time from Here Wee Read, I learned about Bitsbox, a hands on monthly subscription box that helps children learn to code through the use of cards and online activities that teach children how to create apps! 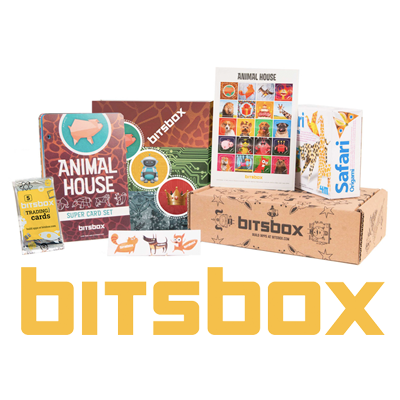 Each month Bitsbox sends out a new box with a different theme and new apps to create on the Bitsbox coding site. The BitzBox blog is very informative and encouraging for parents and educators. It shares insight into the Bitsbox activities as well information about the company and general information about coding for kids. I purchased a monthly subscription for my children for $24.95, but it won't arrive until the end of this month (May), so I'll be sure to post an update on that as soon as we try it out! There are two other monthly subscriptuon prices with different features, one for $19.95 which is digital and the Deluxe for $44.95. The prices decrease depending on whther one chooses quarterly or annual billing. I hope this was helpful! Let me know if you plan to order the Kids Get Coding books andor subscribe to Bitsbox! Don't forget to share on Pinterest! Hi Britney! I'm glad I came across this post. My oldest is very interested in learning how to code. This should be a great start! Mac tools are consistently updating on daily basis and we are bringing all the updates live. S3mac is keen to bring best software tools here. End Football Season With a Special Gift For the Whole Team! Your Child's Team Can Win $10K With Tony's Pizza!